Kan Yasuda was born in the city of Bibai on Japan's nothern island Hokkaido in 1945. 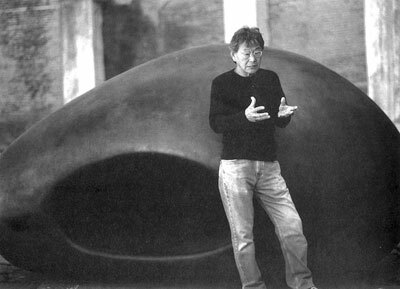 He received a master's degree in sculpture from Tokyo National University of Fine Arts and Music in 1969. He moved to Italy in 1970 on a fellowship from the Italian Government and studied with Professor Pericle Fazzini at the Academy of Fine Arts in Rome. Afterwards he set up his studio at Pietrasanta in nothern Italy, world famous for its superior quality marble. There he continues to live and work at marble and bronze sculptures. "Marble and Bronze", Yorkshire Sculpture Park, U.K.
Berkeley Square Gallery, London, U.K. The Economist Plaza, London, U.K.
"Sculptures from Carrara, Massa and Pietrasanta", Yorkshire Sculpture Park, West Bretton, U.K.
"Sculpture Promenade 2012", Fitzwilliam Museum, Cambridge, U.K.